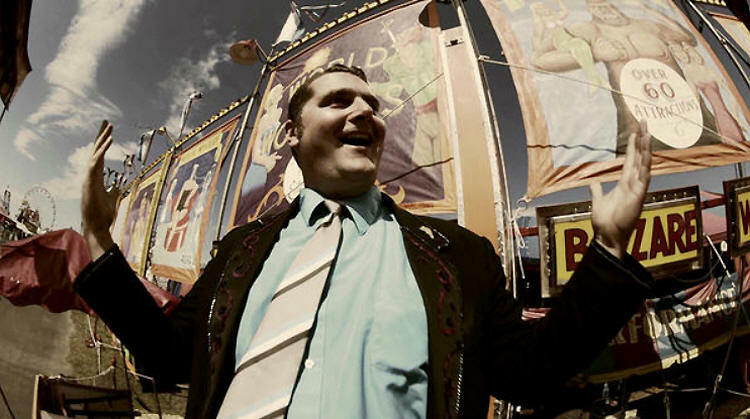 All American Sideshow is a full-access pass to the world’s strangest traveling sideshow. 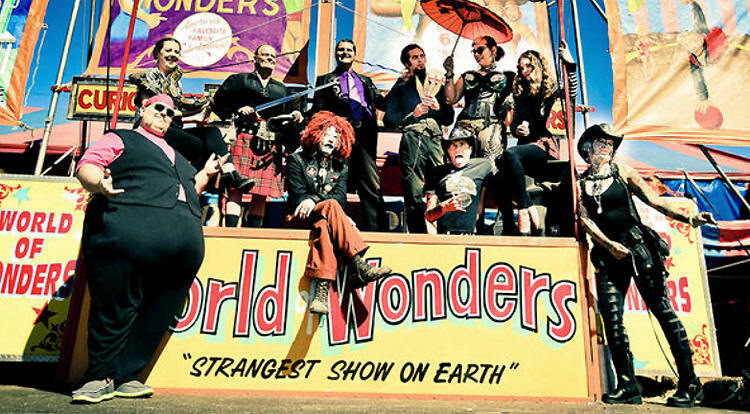 Go behind the tent as the “World of Wonders Sideshow” kicks off the circus season with eye-catching headliners including sword-swallower Tommy, knife-thrower Spif and "Diva of Danger” Sunshine. 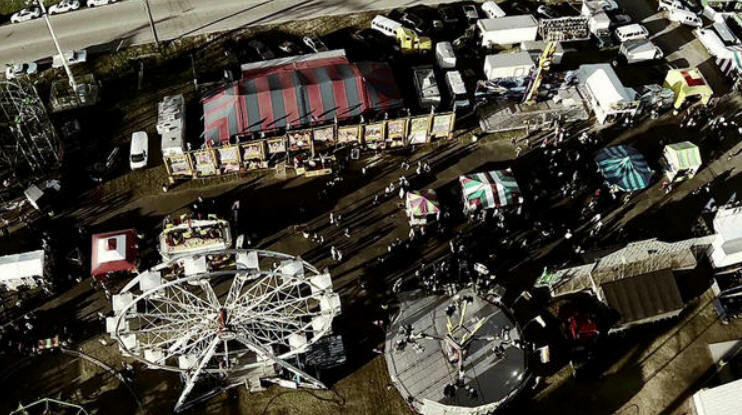 These daring performers share their unique take on travel while living in a tractor-trailer and entertaining the masses in towns across America. 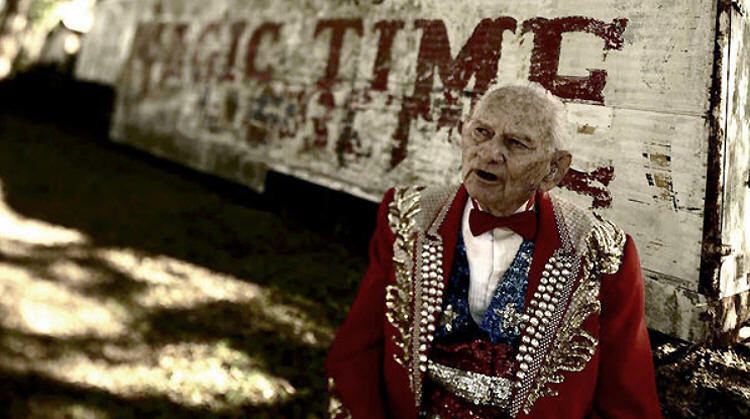 Ward Hall, known as “King of the Sideshow,” owns World of Wonders and has been in the sideshow business since he was 14 years old. The World of Wonders Sideshow sets up a compound on a fair site. 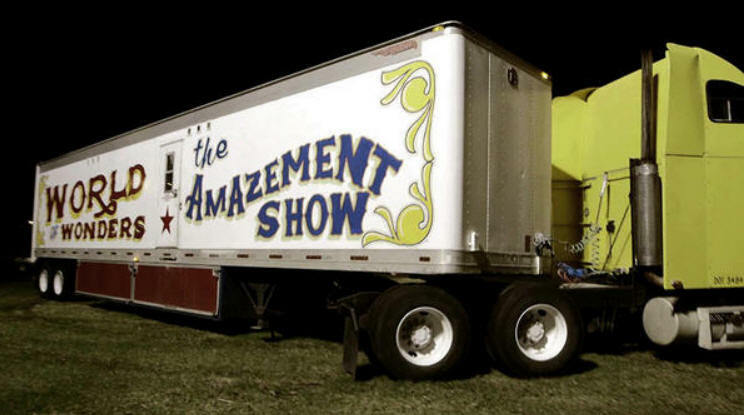 During circus season, they live and perform at the fairs 24/7. World of Wonders Sideshow performers entertain passers-by on the bally stage in an effort to sell tickets to the big tent sideshow. 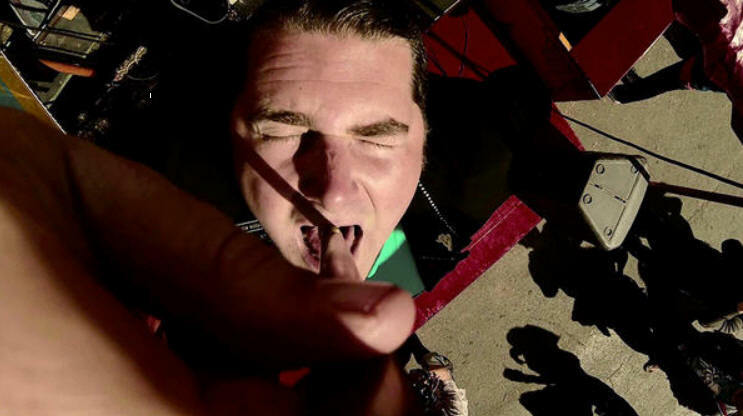 Rutgers graduate Tommy Breen is a master bally talker, a sword swallower and the manager of the World of Wonders Sideshow. 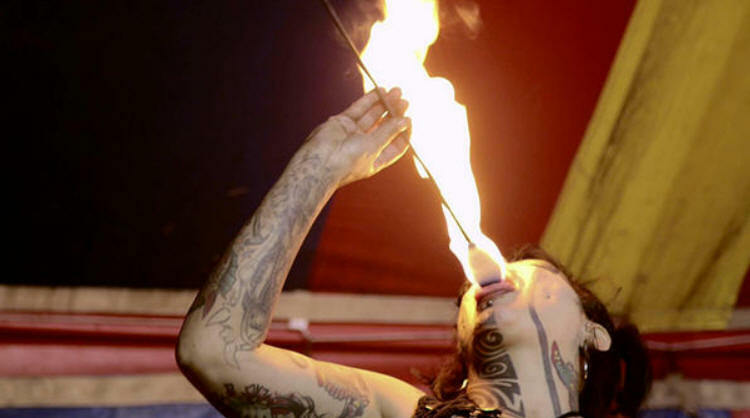 Sword Swallowing is part of the free bally act in front of the World of Wonders Sideshow tent. "Diva of Danger" Sunshine English breathes fire, walks on sharp objects and has been zapped by electricity thousands of times. 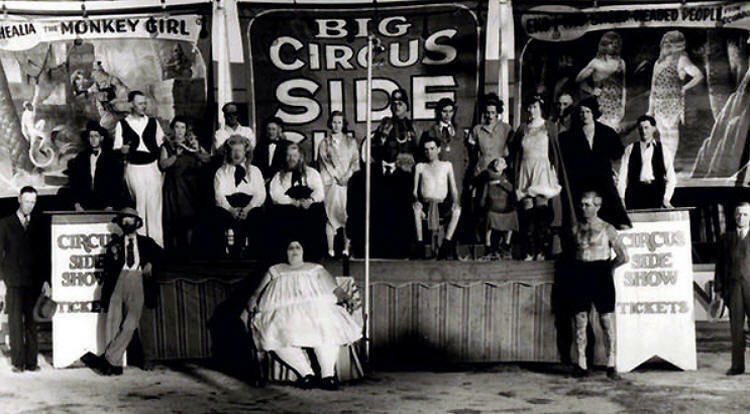 Sideshow performers work 16 to 20 hour days during circus season, which typically runs from June to December. The banner line is a series of large, hand-painted signs which feature the different World of Wonders performers. 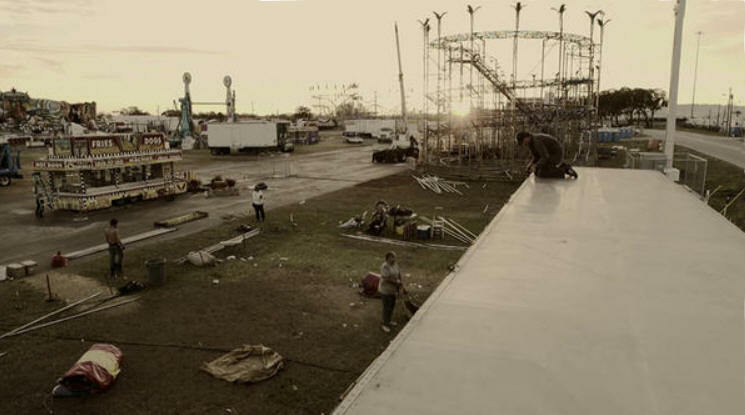 When the fair ends, performers with World of Wonders bring down the banner line, break down the big tent and hit the road to set up at the next location. 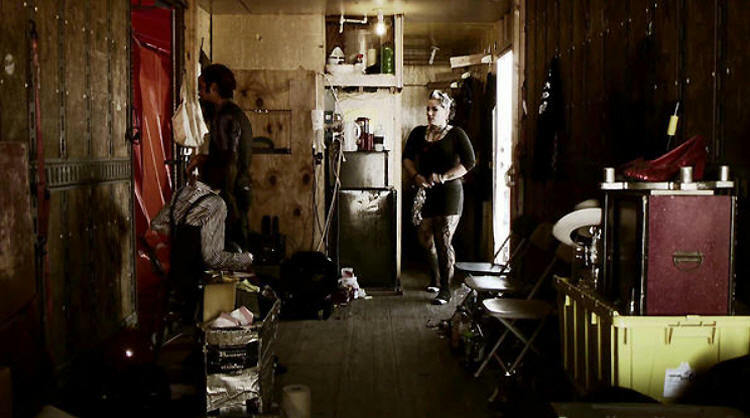 Between acts, performers hang out in their “living room” -- the inside of a tractor-trailer. 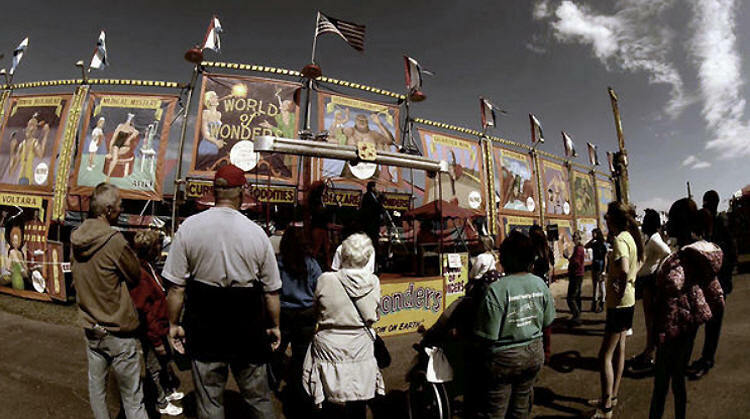 The World of Wonders tractor-trailer is used to transport the stages, the big tent and all the props used in the sideshow. 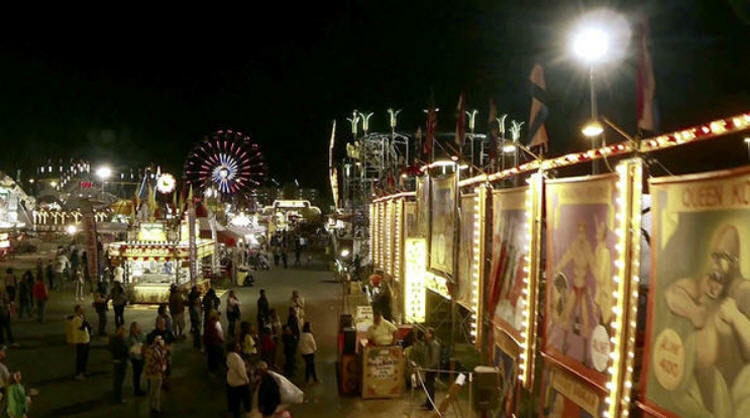 Once everything is unloaded at the fair site, the truck doubles as living quarters for the performers. 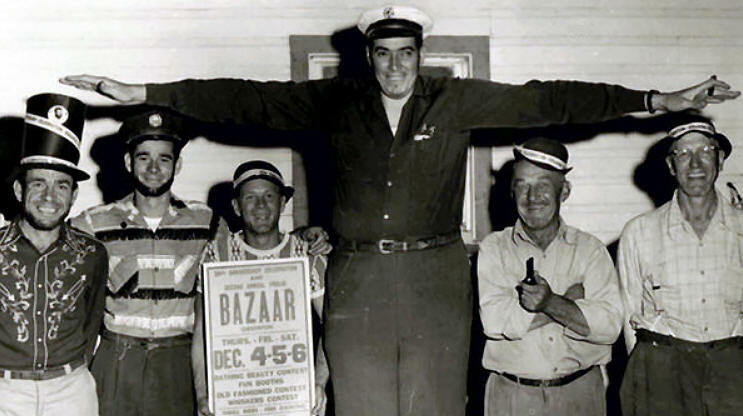 Giant Al Tomaini first settled in Gibtown in the 1930s with his wife Jeanie, who was known as the “living half girl.” Al was more than 8 feet tall and became the town’s mayor and police chief. 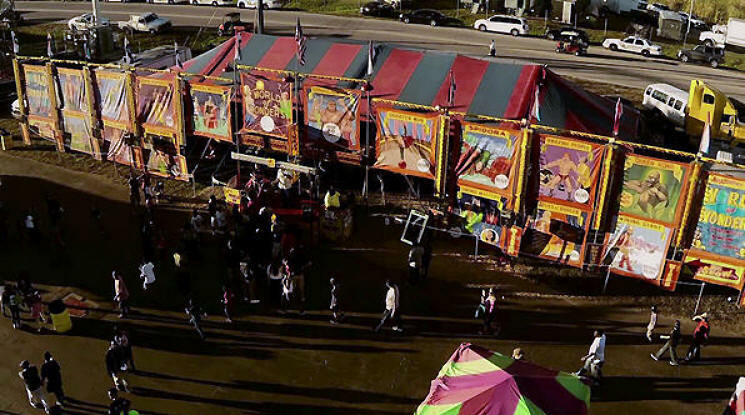 Gibsonton, FL, has been the winter home and retirement community for circus and sideshow performers. 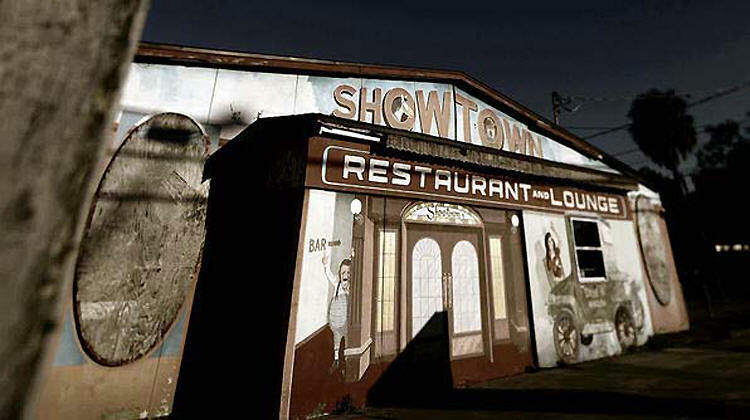 The circus and sideshow life is stamped all over the landscape of Gibtown, FL.